You're a grown-up, so it's time to start camping like one. 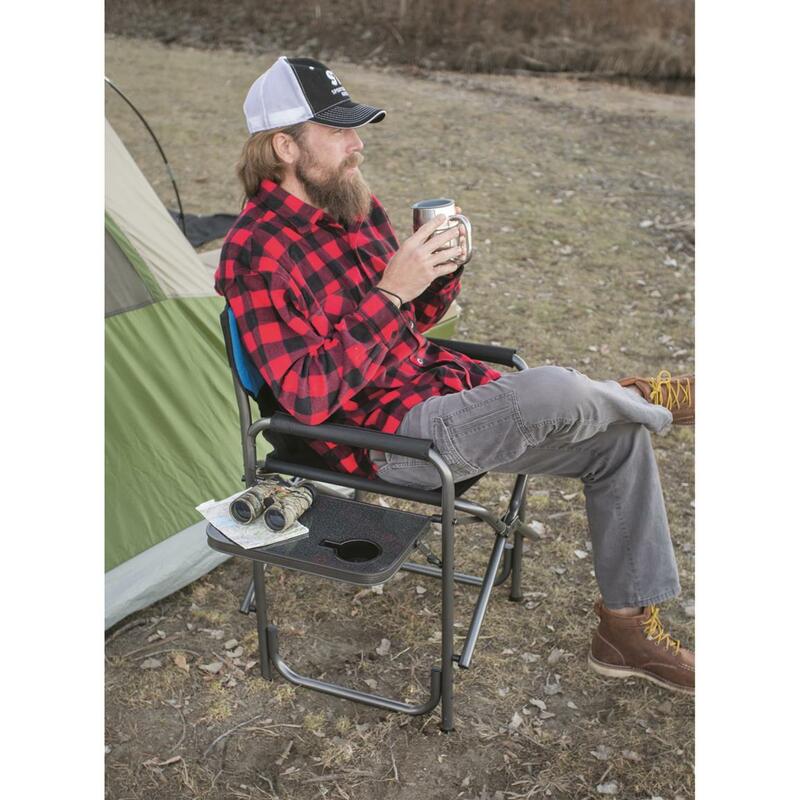 We'll help you do just that with our Guide Gear® Oversized Director's Chair. 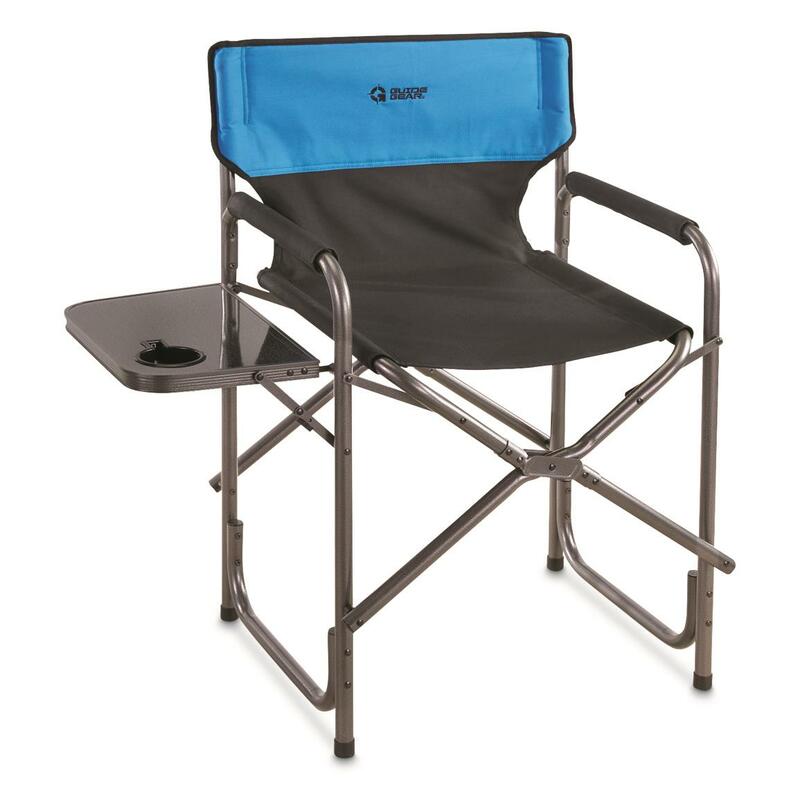 Built with your comfort in mind, it's bigger and stronger than ordinary camp chairs, with an impressive 500-lb weight capacity. 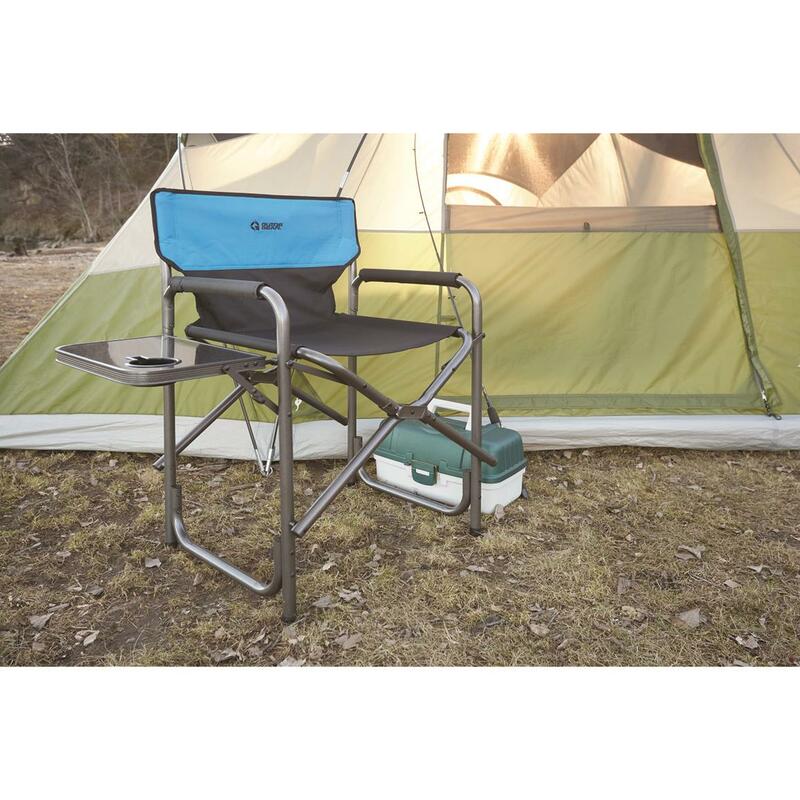 Plus, padding in all the right places and a convenient side table with built-in cup holder. Folds flat for easy transport wherever the outdoors lead you. Overall Dimensions: 20" x 16" x 37"h.